Patients seeking treatment for facial pain and chronic migraines may want to speak to their dentist about the possibility of a condition known as temporomandibular joint disorder. Also known as TMD, this condition can be an ongoing issue that causes patients discomfort in the jaw, head, and even down the neck and shoulders. At South Lakewood Dental, Dr. Scott Stewart provides a solution. 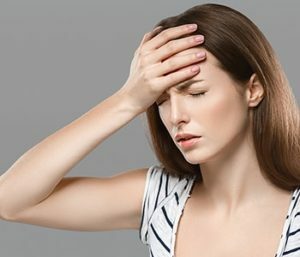 What are the causes of facial pain and chronic migraines? Many times, patients will find that conditions of the temporomandibular joint may be causing problems with the jaw joint and surrounding muscles. This tension then results in headaches and migraines that can become a significant issue. Patients can visit South Lakewood Dental to get a proper diagnosis of their condition with the T-Scan process. T-Scan is a specialized system used by Dr. Scott Stewart to determine the exact teeth that are contributing to the condition of TMD. Where the teeth do not align, the jaw muscles become dysfunctional and result in the pain and discomfort patients experience when they chew, swallow, or speak. The use of the T-Scan process can provide options including computer-guided corrections that can allow the muscles and nerves to relax in the problem area and give them the opportunity to heal. With the use of the T-Scan system, patients often see a reduction or even elimination of their symptoms a week or two after initial treatment has started. Another option for our patients to consider for treatment is the DTR/Trudenta system. This is a special treatment option that is used to address unbalanced forces in the mouth. Patients who have TMD may experience issues such as vertigo, chronic headaches, and tinnitus, which can be targeted with this specialized system. We assess patients by starting with a bite force analysis to determine the specific imbalances in the mouth, including studying the range of motion. This pinpoints specific areas of inflammation and muscle tension. Our patients also complete a questionnaire and speak to their dentist about their medical history and any medications they take on a regular basis. We also examine the muscle structure to check for specific areas of tightness and tension. During the initial evaluation, Dr. Scott Stewart will provide a diagnosis and then discuss the treatment options available to them. Each patient has a unique situation that needs to be treated as such. We can determine based on a patient’s specific severity of their condition as well as their budget what solutions may be most appropriate. With the help of a dental professional such as Dr. Scott Stewart at South Lakewood Dental and regular treatment, patients will often find long-term relief from the symptoms of TMD. Additionally, in extremely severe cases, patients may need to undergo surgical intervention. This will permanently eliminate the problem and allow patients to avoid having to undergo regular treatments to maintain the condition. At South Lakewood Dental, Dr. Scott Stewart and his team have their patients’ best interests at heart. They are committed to providing quality, comprehensive care for adults who are ready to address concerns such as facial pain and chronic headaches. If you are dealing with conditions such as temporomandibular joint disorder, we encourage you to book an appointment with our staff to be evaluated for the Trudenta process. Call (855) 233-0023 today and visit the office at Suite 11 at 2525 S. Wadsworth Boulevard.